Gonjasufi steps up again with the inevitable remix album of ‘A Sufi and A Killer’. Titled, The Caliph’s Tea Party you can read the label bumpf below. Also on the cards with Gonjasufi’s name ‘pon it is a remix competition for anyone that wishes to take a stab. So, The Caliph’s Tea Party was slowly summoned to life. Like the Caliphs of the Ummahs of the 7th century, orchestrating affairs from their palaces, Gonjasufi has assembled a collection of artists in his musical world and invited them to exchange ideas. In this spirit, the symbolic and musical centerpiece of the album, as well as its namesake, is the result of the mutual admiration formed between Gonjasufi and Broadcast and Focus Group. A bewitching, drastic re-working of ‘DedNd’ it takes the form of a suite of layered compositions and radiophonic transmissions. Elsewhere, reinterpretations from new talents shine while established artists continue to surprise. Mark Pritchard channels Ennio Morricone with epic orchestral dystopia on his remix of ‘Ancestors’ while retaining the inherent gravity of Flying Lotus’ original production. Young guns Shlomo and Jeremiah Jae eschew their labeling as ‘beatmakers’ and tap into a fractured emotional core within ‘Change’ and ‘Holidays’, respectively, giving them new leases on life as subtly mechanized melancholia. Bibio smooths out the rough edges of ‘Candylane’ for a remix indebted to the 1980s R&B leftfield, while Brooklyn’s Bear in Heaven and Oneohtrix Point Never deal in heavy motorik meditations and ethereal musique concrete. That The Caliph’s Tea Party lives up to it’s concept as a companion piece to A Sufi & A Killer is not only a sizeable accomplishment, but also a testament to the source material. 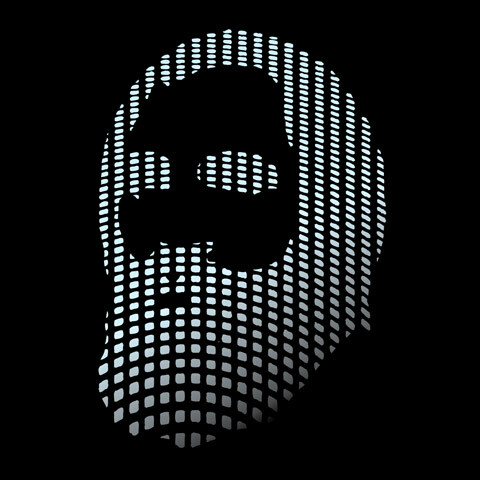 Gonjasufi has emerged in 2010 as the most striking new voice in a vast musical landscape that continues to outrun true classification. With so many errant strands of creativity moving in all directions, it may well prove fortunate that a Caliph has been selected.